Previous Education details : Need everything from 10th grade onwards. I guess, the above list should be necessary for any work related visa like H1B or L1 visa. For other kinds of visas, I would guess you need most of the information, except work related info. You will be asked for passport book number…if you are an Indian citizen, you do not need this. If not, check your passport for this info…check NOT applicable, if you do not find it in your passport. Also, if you have been to US before, you will be asked to enter the US visa number. If you look at the US visa stamped on your passport, it is the number on the right hand bottom in RED color. Your information is saved by screen as you complete it. In order to retrieve your info, you need the Application Number. Make sure you write your Application number on a piece of paper, you WILL NEED this application number and the security check question answer. It will be showed at the first time you start filling the application, if you miss it, you are screwed ! The system is not so good on calculating your session time…. It will just time out your session for no reason sometimes and drive you nuts.. just be prepared ( It kicked me out over 10 times) Be patient, it can be frustrating at times due to session time outs. Have half a day allocated with all your information with you for avoiding delays. Make sure you have all the information I have listed above to be at hand and have it typed up in notepad file or on paper for easy form filling. It will save your time with session time outs. They say that you will need 75 minutes, but in reality you might need at least two hours or more…make sure you have proper uninterrupted Internet connection for extended period of time. You will need digital photo, make sure you take it with plain background. You may edit it by cropping. There is an option to test your photo before you start your application . Check this before you proceed with application. Have you ever filled out DS-160 form ? What are your thoughts ? Any tips to share from your experience ? Your current work is homemaker. So, you should select that. Also, you can also add your previous work experience in there, you can specify the duration in there. I booked my visa stamping interview slot for April 3rd week with my current H1b approval, while my h1b transfer was pending. Now my h1b transfer is approved. Do i need to book for the new interview slot? or can i use the same interview slot? if i use the same slot what all information do i need to update? I am filing for DS160 for my H1B stamping. I have query about the length of stay in US before. I am currently in US on F1 visa and my last travel date to India is Nov2015-Dec2015. So now what should I write in length of stay field as from 2015 I am still in US. should we provide college/school name or university/board names? You need everything from 10th grade onwards, read above article. Your article is really very helpful.But I think I made a mistake while filling ds 160 form.I only mentioned my bachelor’s degree and not about 10th and 12th grades.Also,I have booked the visa slot so is my ds 160 wrong?I am worried. You can always create a new DS-160 form and have all the details on it. Carry a print out of both and tell at the Consulate that you did a mistake, it should be fine. 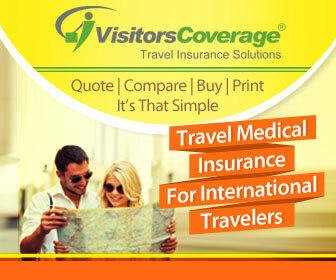 You can also call the customer service of ustraveldocs or embassy to get it clarified. I and my wife both are indian citizen. We are having valid passports. We are senior citizens. We were given 10 year visa by USA authorities. But the same has since expired. My wife once had been to USA. Our son has settled in USA with green card. We now would like to visit USA to meet our son and family. Will you please guide us for getting visa. I am sure the above information will be given free of cost. If not, please advise me the amount before sending the information so that I can decide in advance to get your help our otherwise. I am currently on L1 visa which is expiring next month. I have a new H1 approved petition. I will be going to India for H1B stamping next month. I filled the wrong Date of birth of my mother in my DS 160 of my previous visa stamping for L1. It got approved with no issues. Can I Correct the DOB now? How will it affect in future when I will be applying my parents VISA or my Green Card. Appreciate your response & thanks for looking into it. I have question for filing ds160. I have an approved petition with cmpny A, now my company rebranded as company B basically company A d/b/a company B. while filling ds 160 do i need to enter legal name which is Company A or d/b/a Company B. any other things that i should also be aware of? any help will be appreciated. my role & responsibility remain same . I am an Indian Student. I’m filling the DS-160 form for getting F1 visa. In the previous education information section, do I need to fill my 10th & 12th grade details separately? Or do I fill the details considering 9th-12th as high school? Also, in the additional work information section, do they want the charitable organization list I have contributed to in the past 5 years or more/less than that? If you have attended the same institution, then no need. If they are separate, then you will need to fill them separately. You will have dates attended from and to, that defines the period of study. You should always add, if you have formal working documents with the organization and they can provide the same. I’m working under O1-B Approval Notice and going back to my country for a vacation in summer. So I have to take an interview at consulate and now I’m filling out DS 160 form to apply. DS-160 form ask me about petitioner’s monthly income but I don’t know if it asks me the gross income of his company or the amount he actually gets after he pays to his employee ( it’s awkward to ask how much he gets for himself…). Does it include tax ?? It also asks me his address. Should I write the address of his company or his home address ? I don’t even know why they ask such things….I would really appreciate if you could help me ! HOW TO ADD INFORMATION I MISSED SUCH AS STATE AND ZIP CODE OF MY FIANCE AND MY PREVIOUS EDUCATION ? If you haven’t scheduled your appointment yet, then complete another DS-160 form and discard the old one. If interview is already scheduled then make the changes when you appear for biometrics. You can request the person going over your DS-160 form during the biometrics appointment. what option shall i select and also do i have to enter there names individually in this section . I have read so many content on the topic of the blogger lovers however this piece of writing is genuinely a pleasant paragraph, keep it up. I have a question regarding Intended length of stay in Business visa. While filling the DS-160, I mentioned 1 month while yesterday my manager confirmed that the training is going to be only for 15 days so most probably i would be staying there for 15 days. Is there a way I can change the lenght of stay from 1 month to 15 days or I can explain the same during interview. I don’t know if this discrepancy can cause denial of Visa. Please help me what should be done here. Usually B-1/2 is approved for 3-10 years and w/ multiple entry option. So you would be able to stay for more than 15-30 days even if you entered a lower term in your DS form. The PoE officer would grant an actual term when you enter US. Typically it is 6 months. I had a question regarding primary occupation in form DS-160. I have an MBA and currently working as Product Manager, what should I fill in the field? I work for a middleware firm. I have completed my masters and i have got h-1 approved .So, When i was applying for F-1 visa , I have filled put ds -160 form with experience in India . In usa , I got job without using that experience , Cause i wanted to have a fresh start . now tat i got my h-1 approved . Now my present ds-160 will be different than the previous ds-160. Will that create ant problem during interview, If so how to avoid it ?